In this guide we’ll go through the basics of performing a percolation test. which is a necessity if you’re going to install a septic tank or soakaway crates system. So basically, there are different soil types, and obviously a sandy fine soil is going to drain water away much faster than a dense thick blue clay will. Blue clay is common in the UK and was actually used over thousands of years as water-proofing for different types of structures. I was watching a documentary recently about the mystery of Oak Island (highly recommended if you like documentary series) and they uncovered a dam system where the installers during the 1700’s had used blue clay to keep sea water out of the construction site. 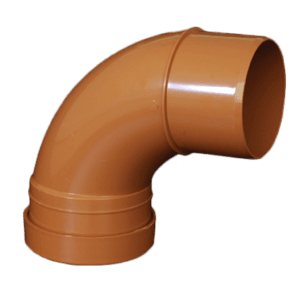 So obviously, how large your soakaway will need to be, or if you can even install one at all, will depend on which type of soil you’re installing into, and a percolation test is the way to determine this. When Should I Perform a Percolation Test? You should perform percolation tests before installing any soakaway crate system or septic tank / treatment plant, but only after you’ve performed a Groundwater Source Protection Zone search and a Trial Site Assessment Hole first (we will explain those in further guides) to assess the water table in the area fully. Please note that the test will differ depending on whether the soakaway will be for foul water or surface water drainage. In this guide we’ll outline how to perform a percolation test for foul water. 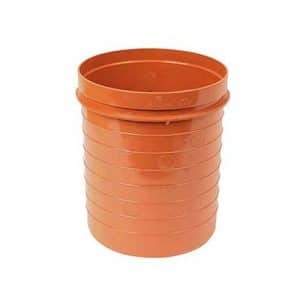 For a soakaway crate system which will have to handle a large volume of water in a very short period of time then larger pits are usually required. Typically 1x1m wide and 2m deep. Okay, so now we know what and why, here’s the how. 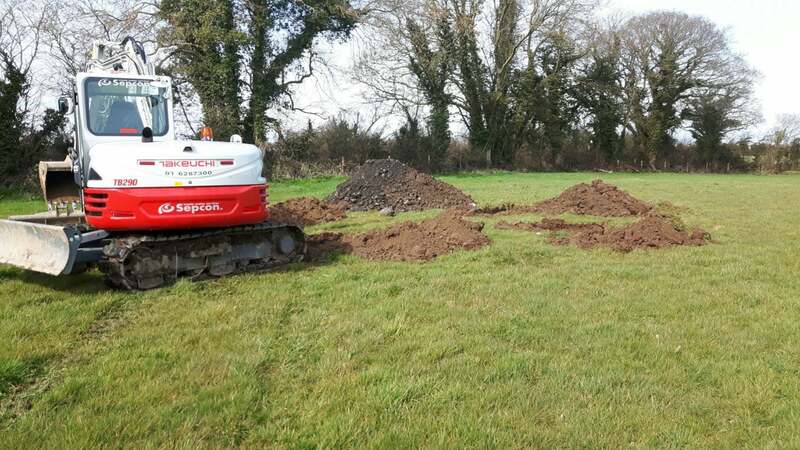 A percolation test will consist of digging hole (or several holes) in the ground around the proposed area of your soakaway system to a specified depth. Then the hole(s) will need to be pre-soaked so that the soil is saturated, then the test will be ran by filling the hole(s) to a specific level and timing how quickly the water level drops as the water percolates into the surrounding ground. Depending on the results you will then be able to calculate the size of the soakaway or drainage field required. Please note that you must not perform a percolation test in any severe or abnormal weather conditions as heavy rain or frozen ground or a draught will obviously lead to inaccurate results due to the changed water table. Dig the hole to 300mm wide by 300mm deep below the required invert level of the drainage pipe. This could be anywhere up to one metre below the surface, so you may need to dig a hole large enough to stand in before excavating your percolation test hole. You’ll then need to repeat this exercise several more times with a total of three being the minimum. Each time calculating the average time taken for each hole. If the test results show and average VP value of between 15 and 100 then the ground is suitable for a soakaway. This ensures that the water cannot percolate too quickly into the ground water, and that you don’t have the opposite problem where the soakaway simply doesn’t soak away at all and the system is ineffective. V = The amount of time in seconds for the water in the test hole to drop by 1mm. The resulting calculation will give you the area in m2 required for the soakaway system. The installer will then likely perform further calculations to find out the length of pipes required. Which depends on the width of the trench. Hopefully the information in this guide will give you a rough idea of what a percolation test is and how you should perform one to calculate the area in m2 required for a soakaway system (drainage field), but please do not rely on this guide for your sole source of information. Always check with your local authority first as there are often different regulations in different areas. There are also several other factors to be considered and by no means is a percolation test result the only concern. For example soakaway systems are not to be installed under driveways, parking areas, buildings or near trees, dwellings, boundaries, rivers, streams etc. Also Soakaway systems cannot be installed unless the Site Assessment and Soil Profile deep test hole show that there is a minimum of 1.2m between the bottom of the drain and the water table or bedrock. Any less than this, and the water will not have enough soil to drain away effectively. Most importantly soakaway crate systems MUST NOT under any circumstance be installed for use with foul water. They do not conform to building regulations for this purpose and are not suitable for the job. Soakaway crates are for rain or surface water only, and must never be used for foul water drainage. Unbelievably there are “companies” out there that use them for this purpose and it is neither safe nor effective. If a company tried to sell this to you, please report them immediately to trading standards. As always we thank you for reading our guides here at EasyMerchant. If you require any further help please feel free to give us a call and we’ll try to answer the question or find out for you. At the very least we’ll be able to point you in the right direction! For further information on how to install soakaway crates then please read our Soakaway Crates Installation Guide Here. Thanks for the great info, this really helped me. Thanks so much for this guide, made my life a lot easier when it came to installing my soakaway system!